Materials and products are tested during process development, during commercial manufacturing…and during litigation. Powder properties of actives, excipients, and blends, and properties of finished products, are both the basis for obtaining regulatory approval, and the key to maintaining quality compliance. 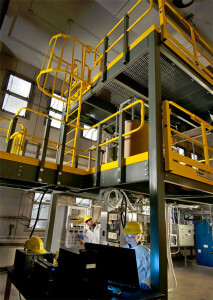 Traditionally, the industry has used relatively simple sampling methodologies and a small number of standard tests (particle size, moisture content, blend homogeneity, tablet dissolution, hardness and tablet content uniformity) as the basis for validating processes and releasing products to market. All of that began to change a decade ago with QbD and PAT, which brought statistical methodologies and instrumental chemistry methodologies into the pharmaceutical manufacturing environment. These methods enable a much deeper understanding of the effect of material properties and process parameters on product quality, and make it possible to monitor processes in real time. However, they also require much more meaningful measurement of both material properties (as inputs of the development process) and finished product performance (as the outcomes that need to be optimized and controlled). And now another major wave of innovation is about to begin – get ready for Real Time Release testing (RTRt), wherein all product quality attributes will be measured or predicted in real time, so that finished products do not need to undergo lengthy testing in order to be released. Whether you are a pharmaceutical scientist dealing with a quality issue or seeking to improve your manufacturing practices, or an attorney involved in litigation that requires testing, Acumen BioPharma is ready to support you. Our experts have extensive experience with all the traditional and new testing methodologies for ingredients, blends, and finished products, and can also develop new methodologies as required by your case.